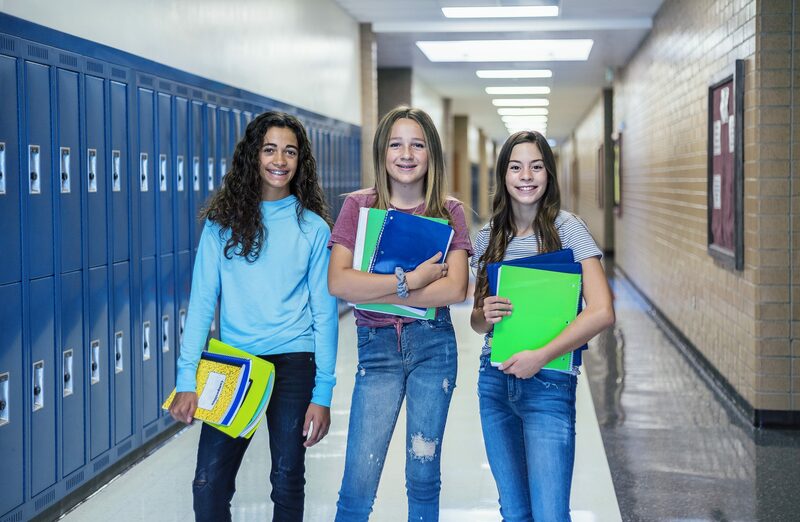 In order to ensure the most comprehensive education possible, Education Lifeskills has created a Social & Emotional Learning curriculum for middle school students. 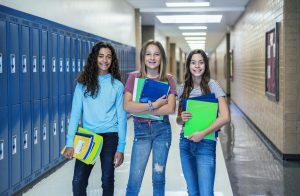 Built to accompany the traditional middle school experience, it’s designed to help growing students overcome issues of low self-esteem, self-confident, poor cooperation, social awareness, and to equip young minds with some insight and planning ability for their future and their place in a society that they’re starting to grow more familiar with. From learning about the building blocks of self-awareness, impulse control, and responsible decision-making to improving their empathy and teamwork, Education Lifeskills’ social emotional learning curriculum for middle school uses modern teaching methods linked with digital technology to make the learning experience as accessible and as effective as possible. More schools, parents, and students are joining the Social Emotional Learning (SEL) as a means of making the education experience truly comprehensive. Many are growing concerned that many students are growing without the critical skills as outlined by the Collaborative for Academic Social and Emotional Learning: understanding and managing emotions, setting and achieving positive goals, feeling and showing empathy for others, establishing and maintaining positive social relationships, and making responsible decisions. Our Social & Emotional Learning curriculum teaches five core competencies: self-awareness, self-management, social awareness, relationship skills, and responsible decision making. As a result, it better prepares middle school students for the increasing demand of education as they grow, ensuring that they know how to maintain their own wellbeing and how to commit to their studies. It also prepares them for life beyond school, with skills that can help them succeed in the real world, too. As a result of Social Emotional Learning, students are more likely to perform better academically, see improvements in attitudes and behaviors, reduce disruptive classroom behavior, and increase their own emotional stability. Self-awareness: The ability to learn, recognize, and better understand one’s own emotions and how our emotions become our behavior patterns. Besides learning to better handle negative emotions like anger, stress, and responses to setbacks, it also focuses on building positive responses such as resilience, self-motivation, and optimism. Self-management: How we regulate and manage our own emotions, behaviors, and thoughts in different situations. From managing stress to improving our own impulse control to recognizing and working with our strengths to understanding and working towards our academic and personal goals. Social awareness: Education, academia, and the world of work all demand the ability to look outward at others. As a result, we help students learn how to empathize with others, to develop a willingness to be open-minded and respectful of others and to improve their reaction to norms, experiences, and cultures that may not be their own. Relationship skills: Students also learn how to nurture and maintain healthy relationships with a focus on cooperation, communication, conflict resolution, resisting inappropriate social pressure, active listening, and actively offering and seeking help when necessary. As a result, it can help students understand and build relationships that offer real value. Responsible decision making: The skills to make healthy and safe choices that are constructive and respectful with the understanding of ethical standards, social norms, forward-thinking and evaluation of realistic consequences, and a focus on wellbeing of the self and others. The program contains a multitude of different courses, each of them falling within the five core competencies to ensure that middle school students grow to make the best use of their developmental learning time. For the majority of students, school is already where they manage most of their social relationships, opportunities for growth, and where they encounter the most challenges. Our Social Emotional Learning program simply helps them to better understand and engage with it. All of our courses are designed to be deliverable by parents, teachers, or counselors, adaptable to individual students as well as entire classrooms. Each individual course within the program takes between 4-6 hours to complete and are broken down into a number of units so that the student has the time to further explore, engage with, and absorb the lessons from each unit when implemented alongside their traditional education. Each course comes with a variety of recommended uses, as well. Many of our courses are self-directed, allowing them to work independently alongside a parent or teacher, or to be completed in a group format with a facilitator. Our courses also come with a Blended Learning option, which allows students to mix a combination of offline and online curriculum to give them new ways to better engage the subject. Many of the courses within our Social Emotional Learning curriculum for middle school make use of Education Lifeskills’ Learning Management System. This is a custom eLearning solution that uses formats such as narration, storytelling, animation, gamification, and self-assessment to make the courses as interactive and engaging as possible. We can also customize our Learning Management System to better suit the needs of educators, improving their ability to deliver courses and track students. Better academic performance, with SEL-equipped students performing an average of 11 points higher. Improved attitudes and behaviors, with more motivation to learn, increase commitment to education, and more time devoted to homework. Reduction in negative behaviors, with less classroom disruption, noncompliance, aggression and delinquency. Increased emotional stability, leading to fewer reports of stress, anxiety, depression, and social withdrawal. A Social Emotional Learning program helps equip students with the skills they need to create better educational environments, teams, and societies, so explore the site to learn more about what we offer.